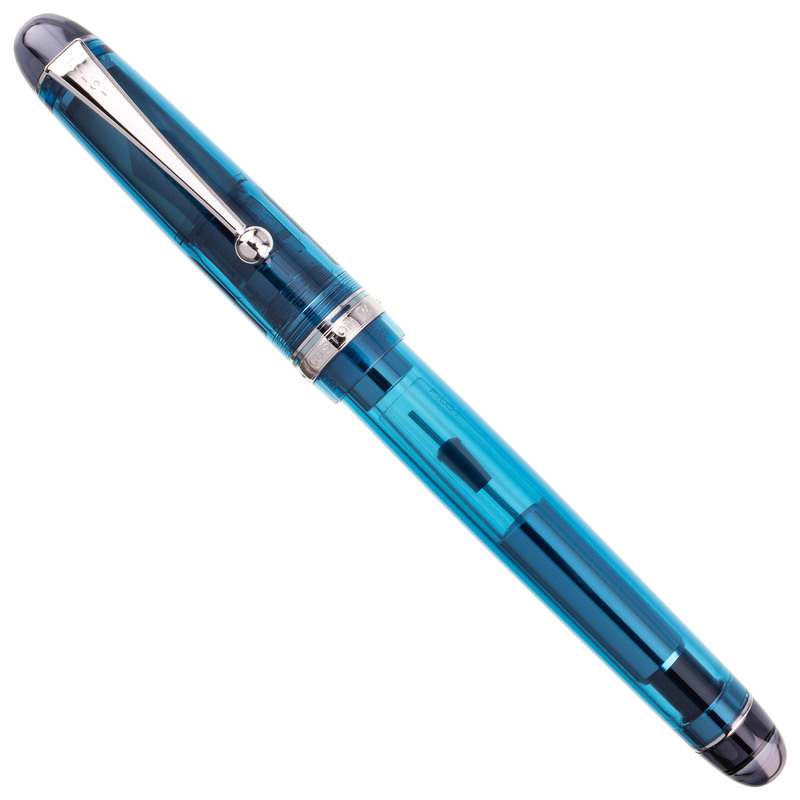 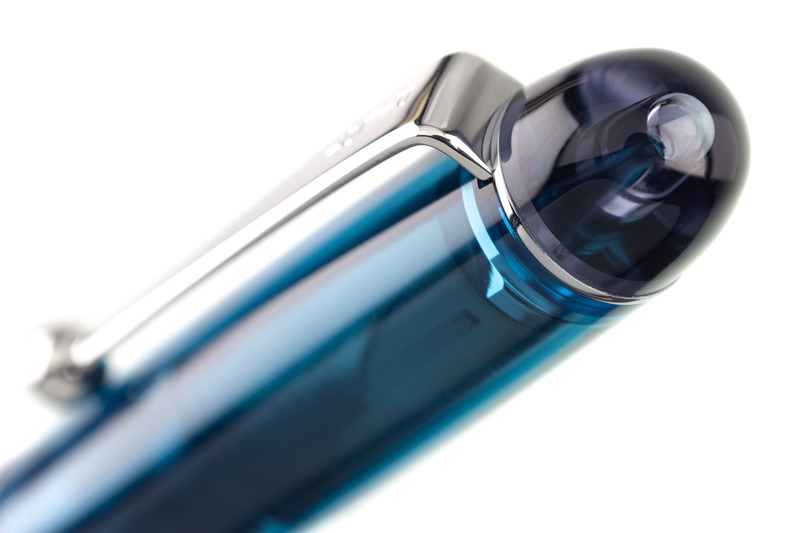 The Pilot Custom 74 Teal Demonstrator adds a dash of contemporary cool to the stylish and affordable Custom 74 line. 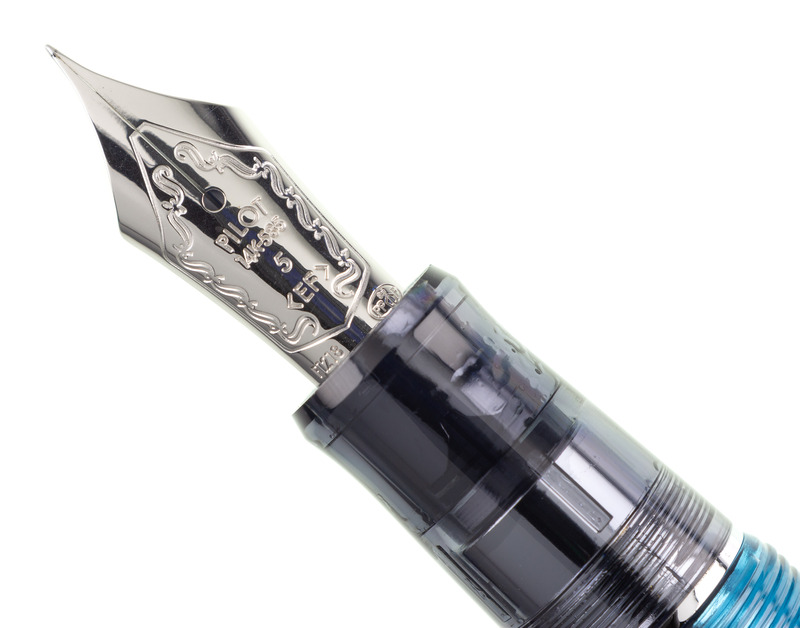 Each pen is equipped with your choice of 14k solid gold nib. 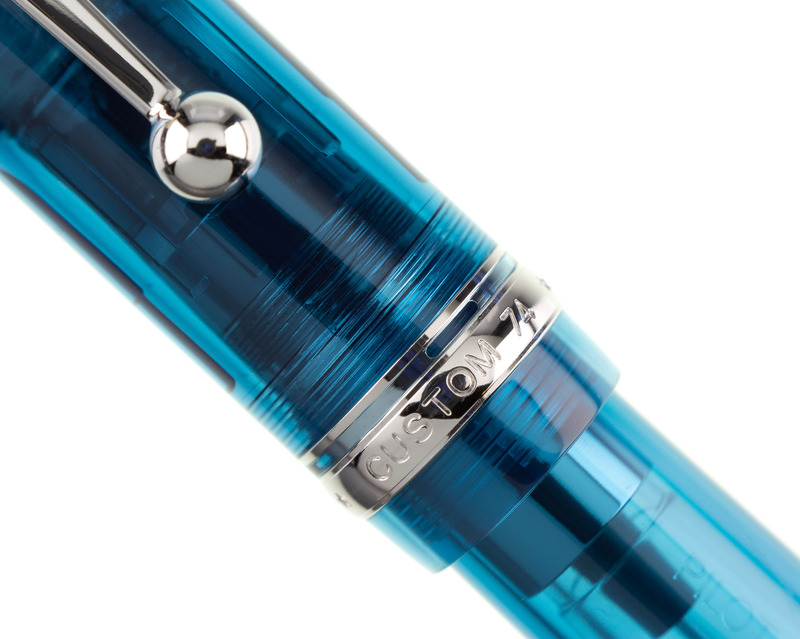 Our complimentary nib tuning adjusts pressure and ink flow to your personal preferences, and our optional nib customizations can add flair to your writing on the page and can also make this pen a valuable tool for calligraphers. 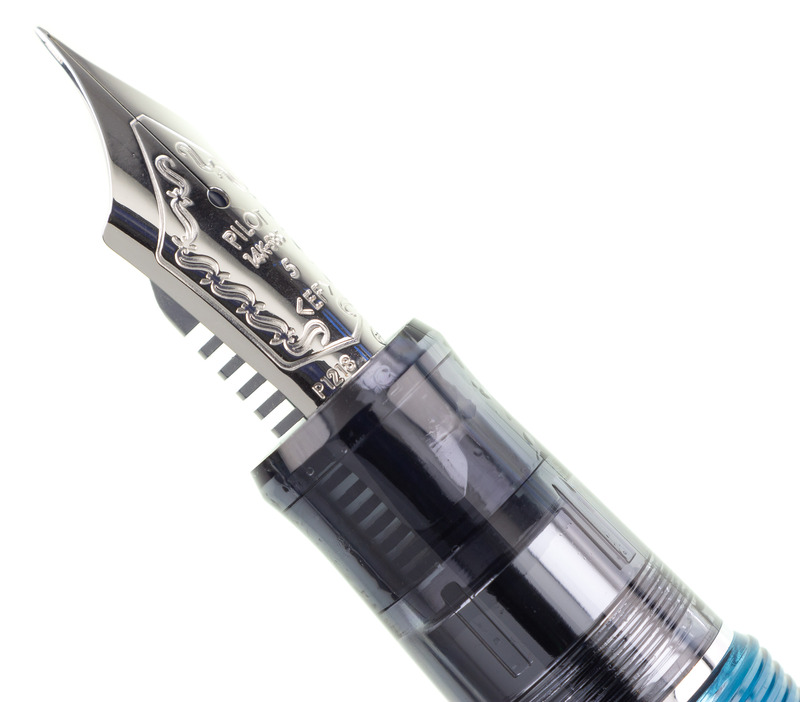 We are an authorized Pilot dealer. 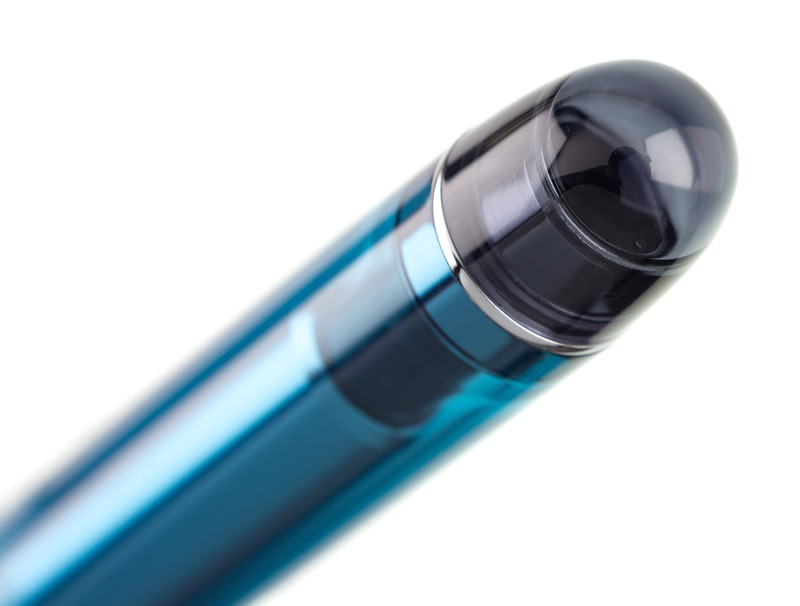 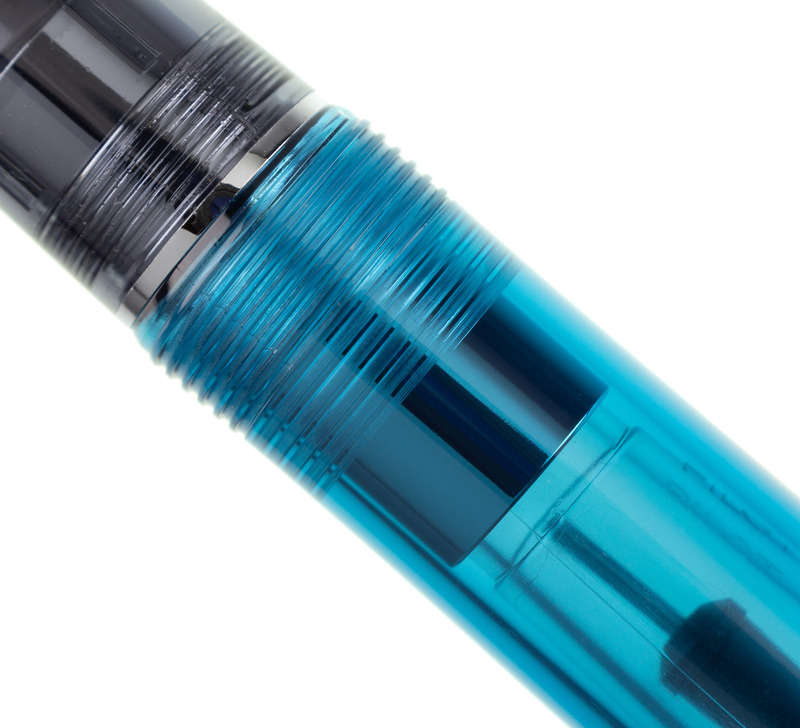 The translucent teal cap and barrel of this pen provides a look at Pilot's reliable and convenient cartridge-converter fill system - the pen can use any bottled fountain pen ink when fitted with the provided converter, and can also use Pilot brand disposable ink cartridges. 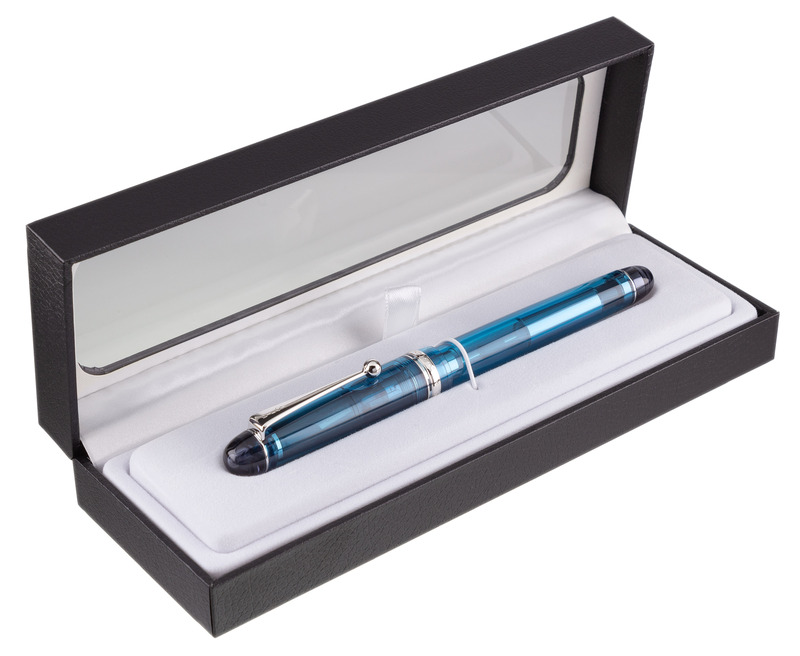 The pen ships in a sleek presentation box, making this an excellent choice as a special gift item.